Tony D’Onofrio, Chief Customer Officer of Johnson Controls’ global retail solutions, joined Focus On Suppliers to discuss topics around retail, ranging from the impact of shrink to global trends. 8th & Walton’s Focus on Suppliers is a weekly TV segment aired on the local NBC station in Bentonville, Arkansas, home of Walmart and a large portion of its employees and suppliers. In this segment, 8th & Walton takes a closer look at suppliers, current news and relevant information for supply chain and suppliers. In the first video, D’Onofrio discusses the staggering impact of shrink ($123 billion annually) occurring in retail. 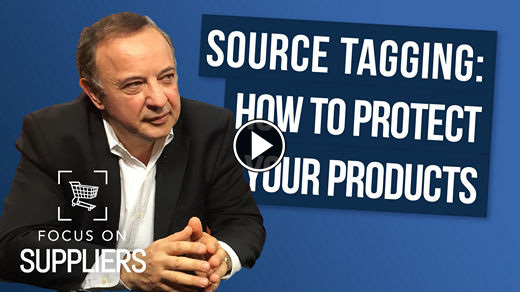 In the interview, he further explains the benefits of source tagging to help retailers boost sales and reduce shrink. He goes on to discuss solutions to help combat the unexpected amount of shrink in a category that may surprise you. Johnson Controls' retail solutions Chief Customer Officer Tony D'Onofrio discusses Source Tagging in Focus on Suppliers. Global retail trends have seen significant changes due to increasing technology and a shift in the power of data. As one of the top 15 retail industry Influencers, D’Onofrio offers intriguing insights about the latest global trends within retail. In this video he discusses the “holiday” that surpassed Cyber Monday as the biggest online shopping day in the world, the future of retail’s relationship with technology and more. Focus on Suppliers talks with Johnson Controls' retail solutions Chief Customer Officer Tony D'Onofrio about 3 global retail mega trends. To learn more about Source Tagging and Loss Prevention, check out our Loss Prevention page.